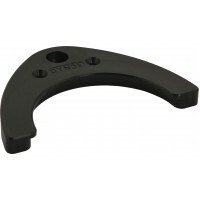 The following mounting plates/holders are for use with any of the Daessy Quick Release Bases. The plate/holder attaches to the device which can then quickly and easily be securely clipped on and off the mount via the Quick Release Base. C-LAPTOP: Custom-made Holders to attach Laptops and Notebooks to the DaeSSy Mounting System. M..
DMAE: Adaptor/Holder for Dynavox Maestro™. This adapter attaches to a Dynavox Maestro to ..
DYN5E. This adapter attaches to a Dynavox V, Vmax, M3 or Eyemax to enable secure connection to a ..
DYNT1: This adaptor plate attaches to a Dynavox T series device to enable secure connection to a ..
IACTP2: This mounting plate for the AMDi iAdapter enables secure connection to a Daessy Quick Rel..
IDTAD. This adapter attaches to a Tobi i Series device to enable secure connection to a DaeSSy Qu..
MDMT. This adapter enables custom adaptations to securely connect a device to a DaeSSy Quick Rele..
POLY6-8: A 6 inch (150mm) by 8 inch (200mm) polycarbonate plate with a Daessy 4 way plate attache..
POLY9-12: A 9 inch (225mm) by 12 inch (300mm) polycarbonate plate with a Daessy 4 way plate attac..
PRC5. This adapter attaches to a Prentke Romich device to enable secure connection to a DaeSSy Qu..
QRP1. This adapter enables custom adaptations to securely connect a device to a DaeSSy Quick Rele..
SL40: This mounting plate attaches to a LightWriter SL40 and SL50 to enable secure connection to ..
SMRT. This adapter plate attaches to an AMDi Smart Series device to enable secure connection to a..
SPOK21. This adapter plate attaches to a SPOK21 to enable secure connection to a DaeSSy Quick Rel..